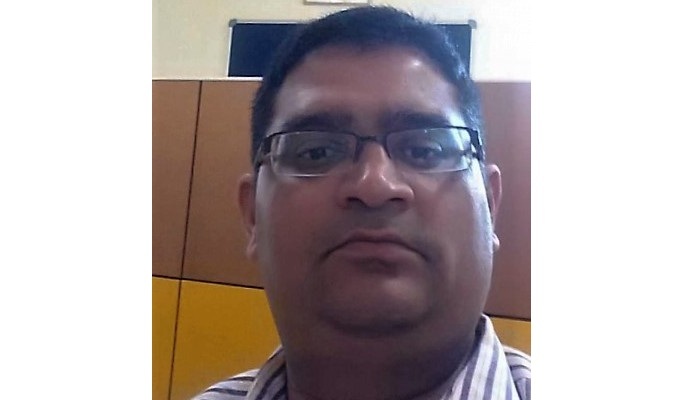 Pavan Prabhakar is a busy corporate executive working with a leading IT firm in Bengaluru. Like every other busy professional his grouse was a sense of having no time for exercise and healthy eating. The worst was that he was aware that he was doing everything wrong but was nevertheless unable to rectify his situation. A suggestion from a colleague changed everything for him. Today, he is super active, he has lost weight and is even working towards running a marathon next year. Let’s understand from Pavan what and how things have changed for him in the last year. I was aware of my issues and the only way I thought I could fix my situation was through a wearable (fitness tracker). I knew a fitness band can get me active and healthy. The only fitness band I knew of was Fitbit. But, a colleague of mine at work suggested GOQii and also explained the coach factor to me. I researched online and read more on the coaching service. That is what attracted me to GOQii. I needed somebody knowledgeable to nag me and get me on track. I needed to get some discipline in Life and do the right things so as to be fit and healthy. I came on board GOQii in Oct 2015 with the aim to get fit and active, control and manage my weight and train for a fitness event such as the marathon. After a few weeks of having GOQii, I noticed the changes within myself. Today, life is more disciplined and I am addicted (in a positive way) to GOQii. Thanks to my coach I am doing all the right things. I have stopped snacking, I am eating healthily and also exercising daily. I am doing all those things which I thought was impossible to do. The outcome of being active and eating right has resulted in my BP being controlled and 8 kgs of weight loss.. I also enrolled into a gym, on the insistence of my coach, for strength training. I do cardiovascular exercises and strength training in addition to walking. Tabata and Interval Training is also added to my routine now. The GOQii band, according to me, is one of the best in its class. The whole concept of looking at fitness as a “Well-being solution” rather than just crunching data is what differentiates GOQii from the others. It is this differentiation that lured me toward it. It’s been almost a year and have seen amazing results. The “Coach Concept” is like having a virtual well-wisher for you who keeps monitoring your steps, intake, and workouts. In addition, throughout the process, my coach is able to offer, some great advice. You also get some very informative (myths busted) nutrition-related mails from the master coach. I am very happy to report that I am now addicted to the habit of watching my step count quite a few times a day…I am cognizant of what I eat, thanks to the log feature of the app. I go for regular walks. What was initially 20 minutes has now increased to 45 minutes. I am hooked on to achieving my goals. I like to see myself getting the necessary step counts on a daily basis. From 7k steps, I increased to 9k steps and now I clock 15k steps daily. Soon, I am going to increase it to 20k steps. I am also happy that I now fit into my earlier clothes. And I have more energy! I have even reduced my coffee intake from 3 cups to 1 and stopped snacking. Overall, I feel good about myself. I am more confident and my attitude towards life has changed. My goal going forward is to run a marathon. What does Pavan’s coach Dhruvi Rathod have to say? Rolling back to the day when I first spoke with Pavan, I figured he was clear in his head and knew what he was doing, what was right and what needed to be improved. There were quite a few things we discussed during the call -laying our focus on reducing weight and leading a healthy life. It was not very difficult for me to convince and convey the concept of healthy, mindful eating with some regular workouts. With all the intentions to improve and create a healthier person, we started our journey with small changes like from walking for 20 mins to 45 mins daily, having balanced meals instead of unhealthy snacking, and having an increased water intake. It took but a few days for Pavan to incorporate all these changes. We inched ahead with inclusion of some high intensity exercises like Tabata, interval training. We supported it with some good nutrition by making pre and post workout snacks as a daily ritual. He has become the model of what it means to create a truly healthy lifestyle rather than merely a collection of data points or biometric units. Chia seeds, obtained from Salvia Hispanica, a desert plant grown in Mexico, are edible seeds that are rich in fiber, omega 3 fatty acids, proteins, calcium, carbohydrates, minerals and antioxidants. These small black and white seeds are especially good for heart patients and those suffering from arthritis and Type 2 diabetes. Chia seeds are considered good for your heart as they help in lowering the bad cholesterol. As per a study dated 21st November 2012, published in the British Journal of Nutrition, chia seeds help in reducing triglycerides and LDL cholesterol levels and increasing HDL, the good cholesterol. These are thus good for your heart health. The study further revealed that alpha linolenic acid, better known as ALA, present in these seeds prevents high triglyceride levels thereby lowering central obesity. Chia seeds are one of the richest sources of omega 3 fatty acids. These are particularly rich in alpha linolenic acid. The presence of these fatty acids helps in reducing inflammation. It is especially good for people suffering from arthritis as high levels of omega 3 fatty acids in these seeds helps in lubricating various joints and keeping them supple. Omega 3 fatty acids are also converted into prostaglandins that help in relieving pain. These are a good source of fiber too which again is known for reducing inflammation. Studies reveal that chia seeds play an important role in regulating your insulin levels. These seeds lower the rate at which carbohydrates are digested and absorbed in the body. The soluble fiber present in chia seeds helps stabilize blood glucose level. 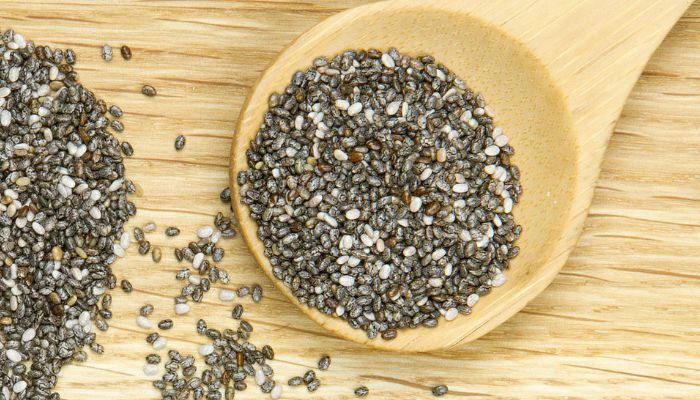 As per a study conducted by Dr.VladamirVuksan from St. Michael’s Hospital in Toronto, the blood of diabetic patients who consumed chia seeds regularly for three months was thinner and thus less prone to clotting. It also helped in controlling high blood pressure. These healthy seeds are rich in fiber that helps in regulating the bowel function efficiently. So next time you experience indigestion or poor bowel movement you know what to have. Merely two tablespoons of chia seeds contain 10 grams of fiber which is one third of the daily recommended fiber intake. Antioxidants help in controlling aging and chia seeds are rich in these. Consuming these regularly thus helps in keeping you healthy and controls aging. The consumption of chia seeds can help in reducing weight especially when these seeds are consumed with water or other liquid as the fiber present in these seeds absorbs water and expands inside the stomach making you feel full. This helps in controlling appetite. Chia is also rich in proteins that again help in reducing hunger. However, though helpful in reducing weight, the consumption of chia seeds alone may not have as much impact. Your total calorie intake during a day as well as your overall lifestyle determines your weight. Chia seeds have a mild nutty flavour and are almost tasteless. You need not necessarily have to ground these seeds as these can be digested whole. Chia seeds can be enjoyed as toppings on different dishes such as cereals, vegetables, rice, puddings and baked deserts. You may even add these to smoothies, yogurt, shakes and soups, mix these with peanut butter or sprout them. However, it is best to have chia seeds mixed in a glass of plain water, coconut water or cranberry juice. Having talked of all the positives of Chia Seeds, it is important to understand if there is any downside to chia? Researcher Catherine Ulbricht, PharmD, cautions that if you have food allergies (especially to Sesame and Mustard seeds) or are on high BP medications or blood thinners you should ask your doctor before adding Chia to your diet. How often have you come across your parents, grandparents or an elderly relative who has had a minor fall in the bathroom, slipped on the floor or had a terrible jerk while travelling on a bumpy road and sustained fractures of bones with a lot of pain, suffering and disability. It has been noticed that the culprit for such incidents is OSTEOPOROSIS. 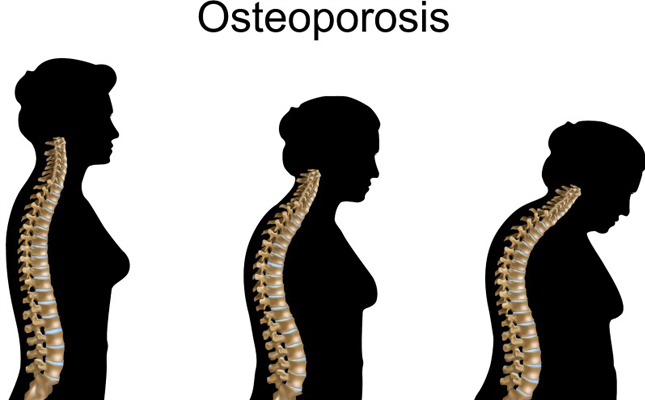 Osteoporosis is one of the most common disabilities encountered in the elderly. It literally means POROUS BONE. The condition results in reduced density and increased fragility of bones resulting in higher risk of fracture with minor falls, cough, sneeze, or minor bumps. The condition is observed worldwide. There are more than 10 million cases per year in India. 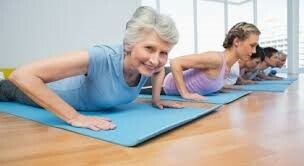 In the USA about 55% of its population aged 50 years and older have Osteoporosis. One third have disabilities and one third regain their pre-fracture status. The health costs from fractures are tremendous amounting to billions of dollars annually. 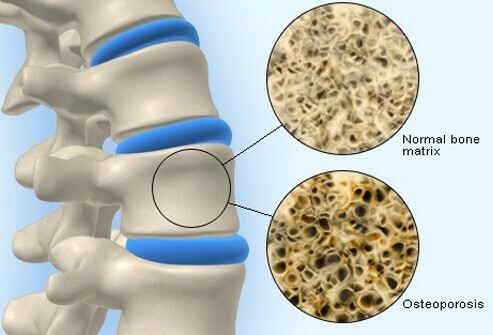 It is very important to learn about osteoporosis because it is a ‘SILENT DISEASE’ except occasional bone pains. You may not know that you have osteoporosis until your thin weakened bones fracture in a bump or fall. The more common sites are Hip, Spinal Vertebrae and Wrist. Clinical studies suggest that approximately 1 in 2 women and 1 in 4 men aged 50 years and older will break a bone due to osteoporosis. Such people in this age group usually present with chronic vague backache, loss of height, or stooping (Kyphosis) and should consult doctor immediately. Medical Illnesses- like hyperthyroidism, surgical removal of ovaries, long term steroid therapy and rare inherited bone disorders like Osteogenesis Imperfecta. SCREENING is advised for all elderly above 65 years of age and Men and Women less than 65 years of age who have increased risk of fracture or already suffered from fracture. DIAGNOSIS – is by bone scan which measures-Bone Mineral Density (BMD). The test called DEXA (Dual Energy X ray Absorptimetry) gives indication of likelihood of fracture due to osteoporosis. It is also used to monitor response to treatment. Our aim should be to prevent bone less or slow down the occurrence of Osteoporosis and encourage healthy bone mineralization. Healthy Nutritional Diet – To be incorporated during childhood and adolescent period itself with adequate calcium and magnesium intake. Calcium intake should be 1000 to 1200 mg per day. Common calcium rich foods are dairy products, cheese, ragi, broccoli, spinach, cabbage, green beans, soy beans, okra, dates, egg, salt water fish and fruits like orange, figs. Vitamin D intake of 800 IU per day is a must. We encourage exposure to SunLight and supplementation as Vitamin D requirement cannot be fulfilled through nutrition alone. EXERCISE plays a major role. Weight bearing exercises like walking, playing golf, Dancing, Hiking, Racket sports like Tennis, Squash promote mineralization of bones and make them healthy. 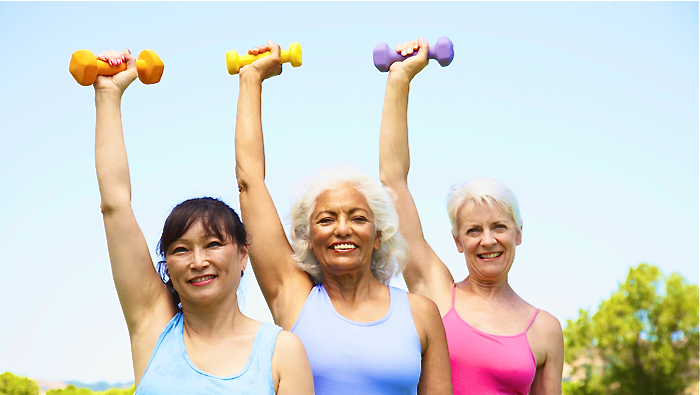 Muscle strengthening exercises like weight lifting benefit by increasing muscle strength and Non- Impact activities like YOGA help in balancing, posture, agility of joints and benefit people with osteoporosis by decreasing the risk of falls and fractures. Studies have also reported an increase in BMD in the spine of those who do YOGA regularly. Exercise should be tailored to the individual person based on BMD report and medical condition in consultation with health care professional. Other Lifestyle Changes – Have a Positive Attitude towards Life, avoid the use of tobacco and Cigarette Smoking, moderate alcohol intake if any, and measures to avoid falls like having railings, avoid slippery floors, having a mat or carpet on the floor helps etc. 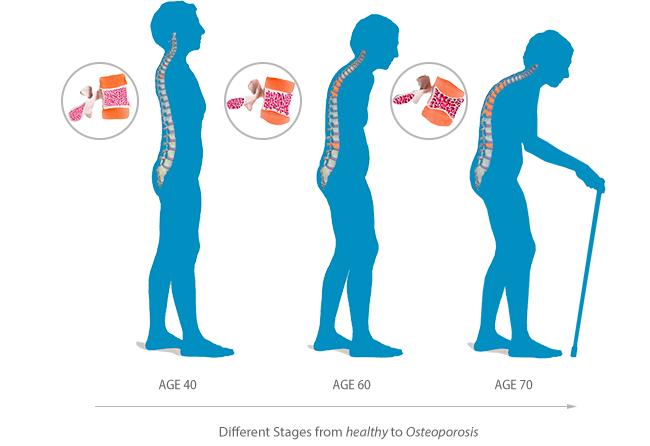 Medications—You may also require osteoporosis medications to either build or maintain bone density. People have been treated with medications like Bisphosphonates, Hormone Therapy in Women, Calcitonin, Parathyroid Hormone. Stem Cell Therapy is also being tried out in severe cases. But, any of these modalities of treatment should be undertaken in consultation with your Doctor. The doctor is the only one who will be able to decide the right treatment for you weighing the benefits and risks of the therapy. Cultivate healthy living and enjoy life! GOQii’s mission is to provide global access to health professionals who can help you to reach your best health potential. To do that, GOQii has cultivated a community of health coaches to help you on your journey towards better health habits and (by extension) a better quality of life. Is it, like…a guy who is going to blow a whistle at me and tell me what to do throughout the day? Oh…so it’s someone who is just going to tell me what to eat and when? Well – what the heck is a health coach, then? Basically…using this definition – a coach is intended to facilitate a relationship whereby YOU make the decisions about what goals YOU want to commit to. The coach is there to help ask the right questions to help you land on the appropriate goal. The coach is there to provide insights about the patterns he/she notices about what you are doing now. Finally, the coach is there to provide accountability for you by checking in on you regularly and asking about the goals you set in motion. They use skills like Motivational Interviewing (an evidence based approach that helps people navigate confusion and ambivalence about changes they want to make in life) as well as visualization exercises and Socratic questioning. So..then…what is a health coach? A Health Coach is someone who integrates the skills and techniques of coaching (motivational interviewing, socratic questioning, etc.) alongside health education (giving you information that you may not know in order to help you make habit changes that are appropriate for the kinds of results you want to have). Health isn’t about revamping your entire nutrition plan or following complex exercise routines all at once. It’s about making sustainable changes over time that turn into life-long habits and evolve into robust health in the long-term. YOU know what you need better than anyone. Our job as your coach isn’t so much to tell you what to do as it is to help you unlock your own potential. Yes – occasionally, you really do need some information. You might have read an article about health that confused you. You might not be sure about the next best step. If that is the case – we can and will help you by providing options for first steps – but at the end of the day, YOU are in charge. YOU decide. So What Will Your First Coaching Call Look Like? First, your coach will ask you what your long-term BIG PICTURE goal looks like. What do you want to see change in the next year? What kinds of people do you envision spending your time with? What kinds of actions do you want to be doing? What will that change get you that you don’t have now? What is motivating you to make that change? Third, your coach will get you to identify a check-point to try and commit to in the next month. In the next month, what would indicate to you that you were moving in the right direction? How far do you want to try and be toward that long term goal by the end of the month? Fourth, your coach will help you to take that goal and frame it into actions. It’s one thing to say you want to run a marathon. But that takes practice. Sure you might want to lose weight. But both of those things are Now you need to figure out which actions you want to take to get you there! What is a specific action that you can take between now and next week that will move you toward your monthly check-point? How will you monitor your progress on that? How might you arrange your environment to optimize your success? Who will you recruit as your support for that goal? How will you reward yourself every time you engage in this behavior? EXAMPLE: “I will make a commitment to run 20 minutes per day at least twice this week. I’m not sure, yet, how long I can go without stopping. But I will run/walk both times and push myself as far as I am comfortable. To monitor my progress, I’ll check in with the GOQii app and check it off on the list when I have completed my task. In order to assure that I run….I will put my running clothes out the night before so that I do it first thing in the morning. I’ll keep my GOQii coach for support, and I will reward myself after my run by allowing myself a download of a song on my music device or will download a new audiobook every time I complete the weekly goal. Fifth – your coach will wind up the conversation by summarizing what you have committed to. He or she will ask if you have any questions or are in need of any resources. Perhaps you are looking for some workout videos that are free. Or maybe you are looking for a quick and easy breakfast recipe that you might look at after your run. Whatever the case, your coach can help point you in the right direction and hold you accountable. And after wrapping up, your coach will set a follow-up appointment with you for the following month. Finally – your coach will follow up with you every day during the week via text to make sure you have all that you need. If you have questions along the way, you can reach out. If you feel like you’re struggling to find the motivation, your coach can help you identify what will get you back in the game. Make no mistake – You are always the one in the driver’s seat. But your coach is there to be your copilot along the way. Your coach will help guide you along your journey and hold you accountable to the habits you want to put in place in order to get to the destination you ultimately want to get to. Good luck – and Be The Force!